For some reason I've been baking my fish lately, instead of frying it. Had some eye fillets tonight. I caught them right before hurting my neck last fall. Simple and simply delicious. I usually bake my fish, frying gets to me I like to marinate in lemon juice and bread the fillets, crispy on the outside and moist and tender inside, and no oily taste. This method may be used for cleaned small whole fish, fillets or thick steaks cut from larger fish. When buying fish steaks, have them cut ½-inch thick. Dip fish into a mixture of evaporated milk, water and salt, and then roll it in bread crumbs until thickly coated with crumbs. 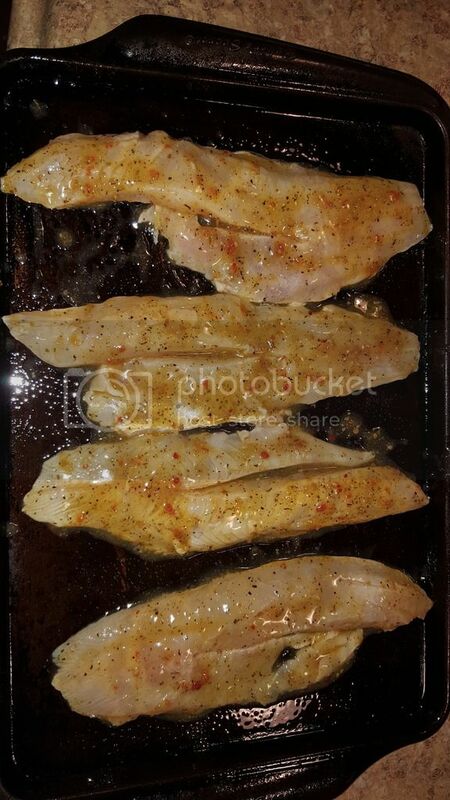 Place in an oiled baking pan, sprinkling each piece lightly with oil. (Allow 2 tablespoons oil for the 2 lbs. of fish.) Heat oven very hot (500° to 600° F.), put fish into hot oven and bake uncovered for 10 minutes. Never add water; do not turn fish while baking. When done, pieces of fish will be brown and dry on outside, tender and juicy on inside. 5 servings. Sylvia Bashline had a recipe in the Pa Angler magazine back in the 90's. I lost it and only remember bits of it but basically you softened some chopped shallots in some butter in a frying pan. Then you added chicken or fish stock and some grapes cut in half(I always used white seedless grapes) let that all simmer for a bit then add walleye fillets cook until done. Sauce should be reduced by that point I served it over rice - pretty good. Sorry .... for some reason I can't look at the old issues on the PFBC web site anymore so I can't put up the actual recipe . I did e-mail the PFBC looking for it but the nice lady that replied sent me recipes off "pintest" instead none of which used grapes LOL. 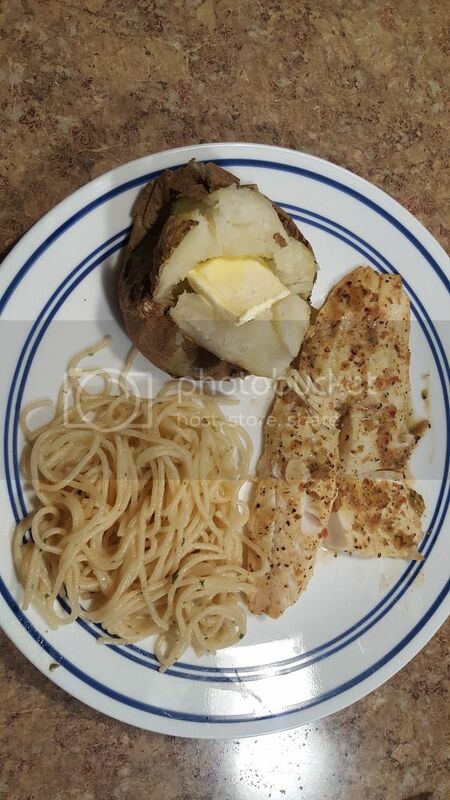 I bake a lot of fish various ways but the way my girls love it is super simple. All you do is marinate any white fish fillets in zesty Italian or any Italian dressing for as long as you like ( I do mine for at least 4 hours). Bake at 400 until doneness is achieved. Wow! that looks good JM. Do you put any lemon juice or other seasonings on that? Never heard of marinated in Italian dressing, looks good. I like mine marinated in lemon juice, then breaded and baked, stays moist inside.